I was playing with different methods of shining brass. Wet tumbling, I used 2 cups water and added one tablespoon lime juice. Re: Brass Shining Made Easy! 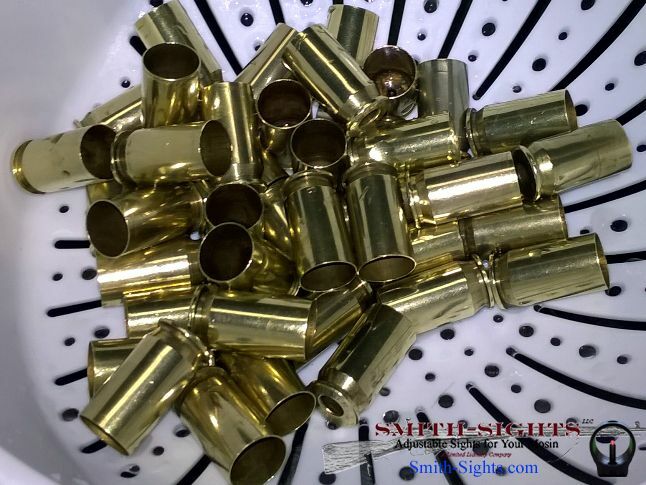 I've had good luck with lemi-shine, if you're looking for shiny brass. I saw this used on a Youtube video and it seemed to work just great. Has anybody had any experience with this recipe? I believe the salt is unnecessary, you're using the acid in the Vinegar to chemically clean the brass, very similar to lemi-shine. It will shine the brass, but I'm not sure without some kind of mechanical rubbing if it will remove carbon deposits. jdonovan wrote: I believe the salt is unnecessary, you're using the acid in the Vinegar to chemically clean the brass, very similar to lemi-shine. The video did say it would require some agitation, which speaks to your point. Thanks. Thanks, Josh. So SS MEDIA is not needed?